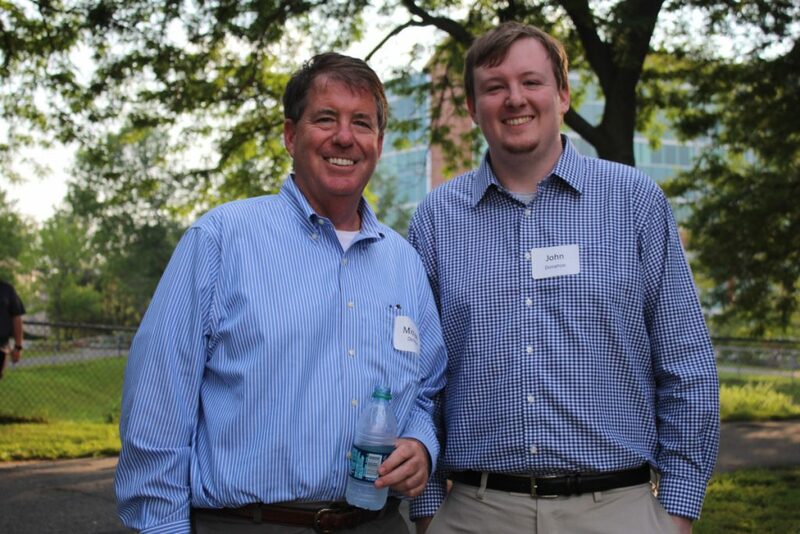 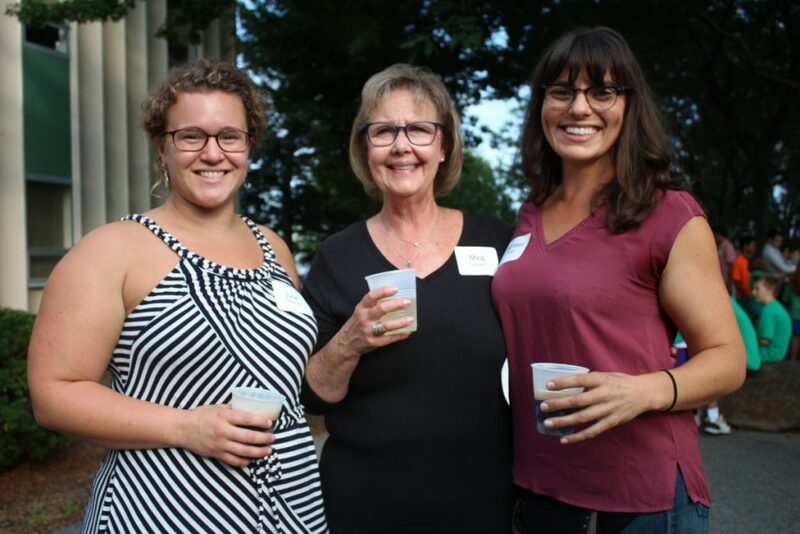 Club members mingle with supporters at the annual Steak and Burger Dinner. 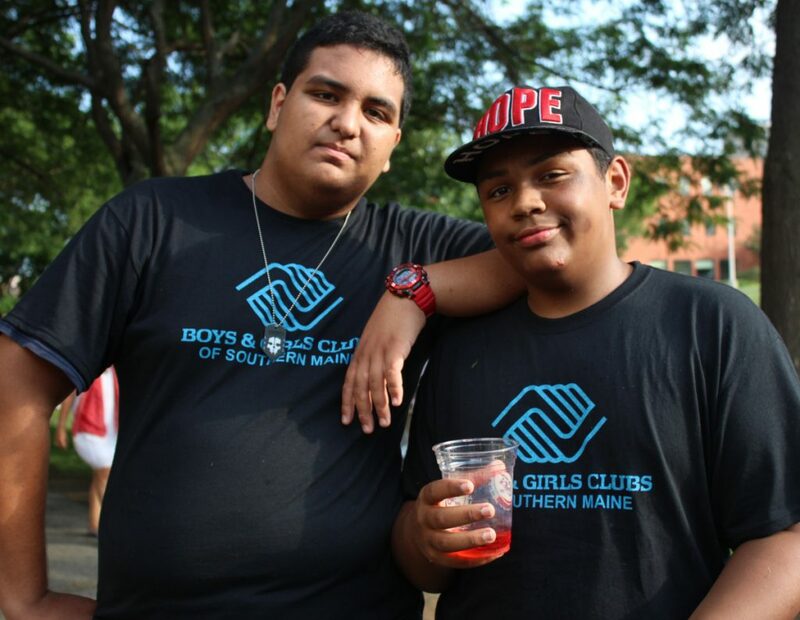 Steak is the kids’ meal. 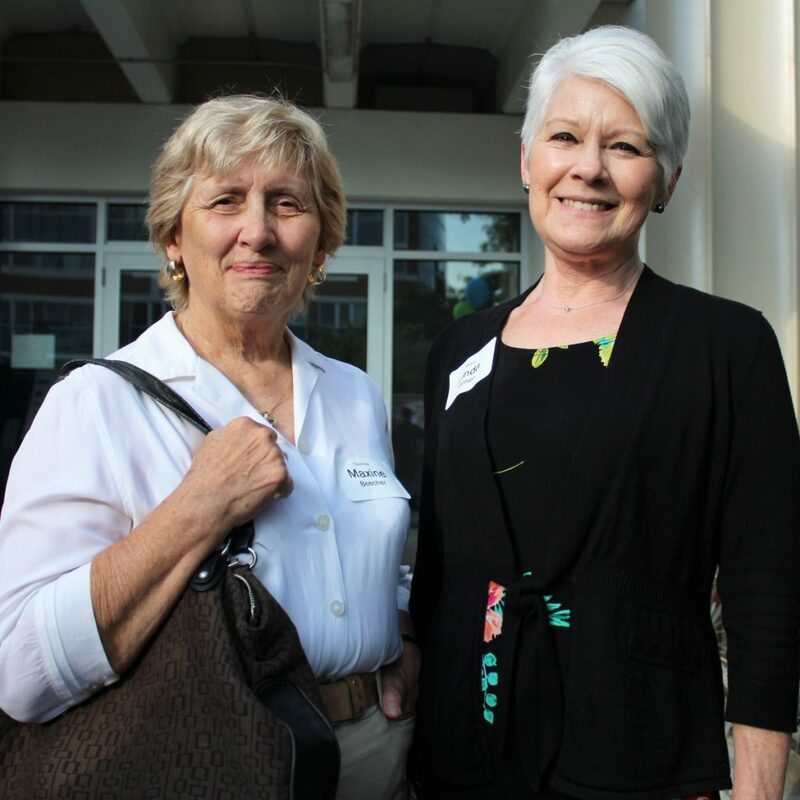 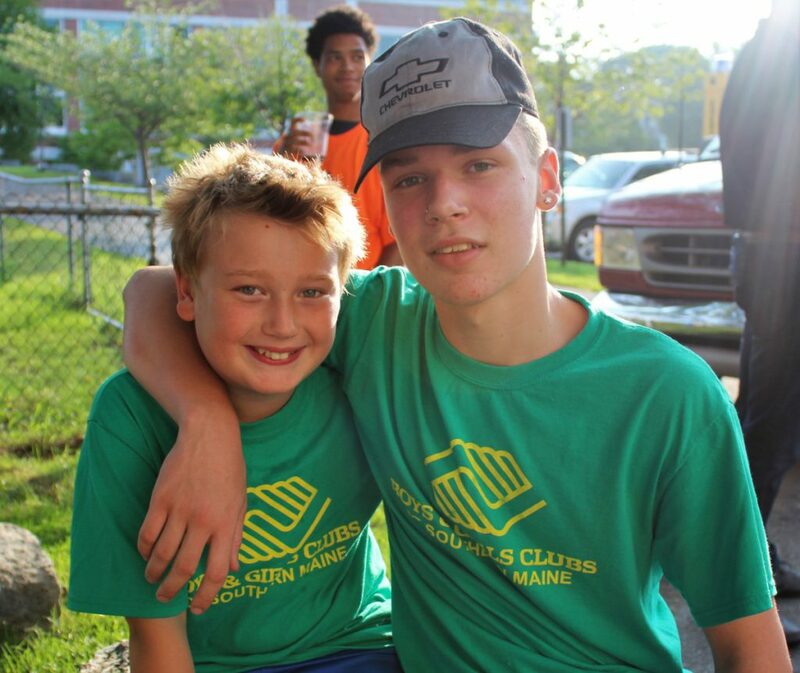 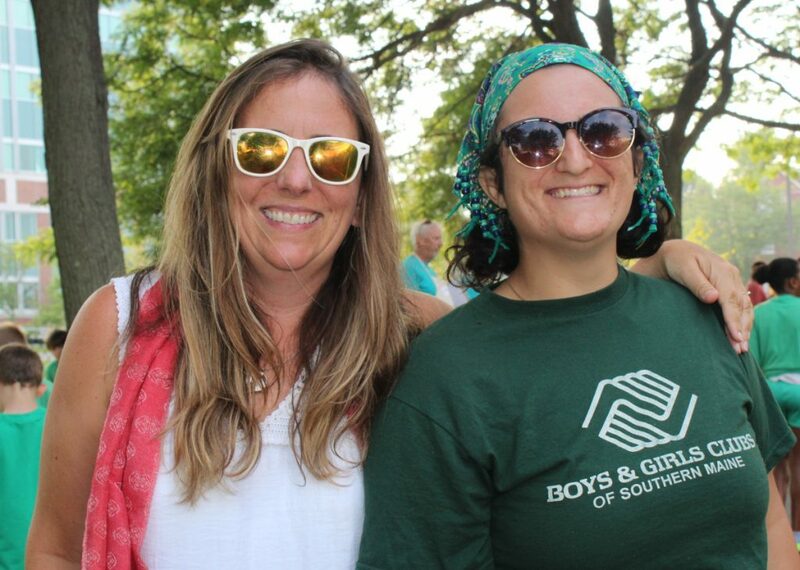 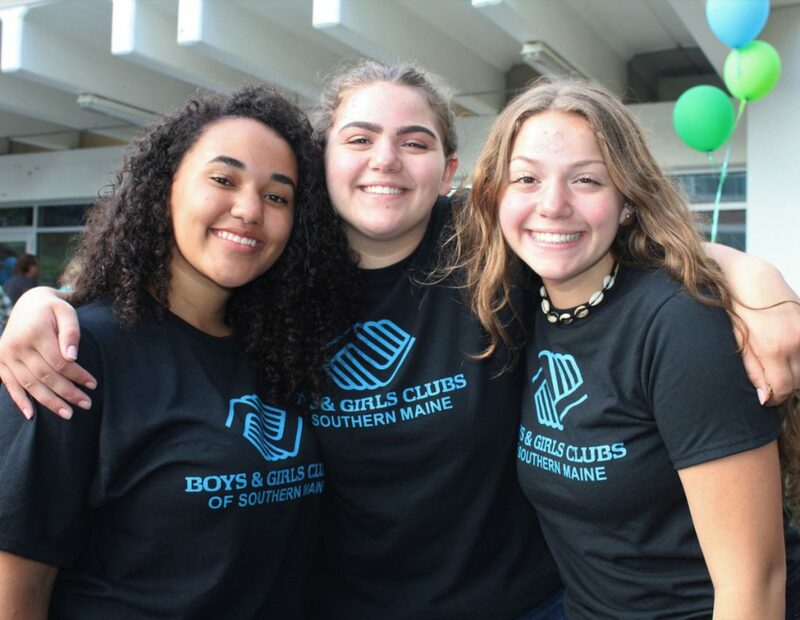 That’s the tradition of the Boys & Girls Clubs of Southern Maine annual Steak and Burger Dinner, where 100 of the nearly 3,000 club members dine with 150 supporters and donors of the five local clubs in southern Maine. 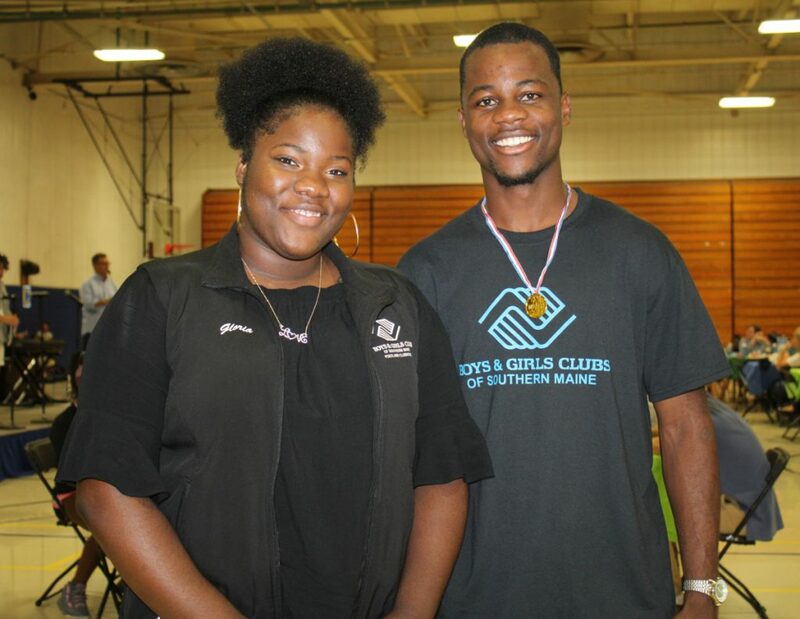 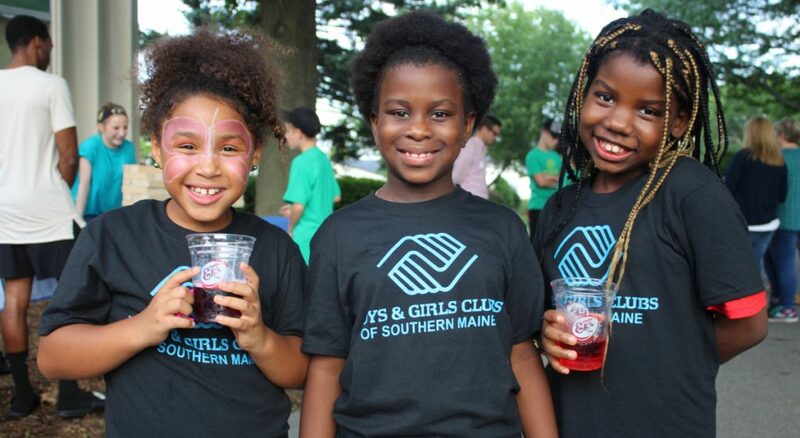 “Steak and Burger is one of the great traditions of the Boys & Girls Clubs,” said emcee Herb Ivy at the Aug. 15 dinner at the University of Southern Maine’s Sullivan Gymnasium Complex. 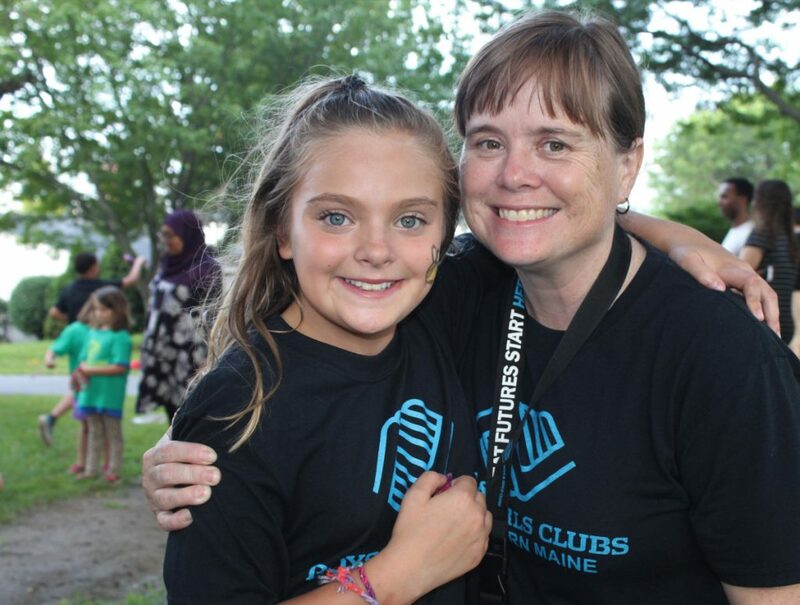 “This gets club members from different clubs together with face painting, games and, basically, an end-of-summer bash,” said staff member Melissa Cornish. 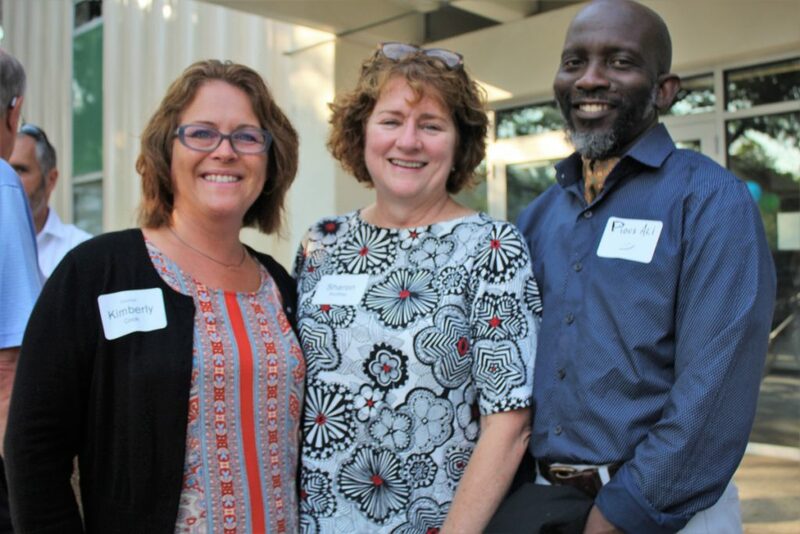 The evening included an announcement, naming the organization’s inaugural Promise Scholarship recipients, Gloria Bila and Emmanuel Mutshaila. 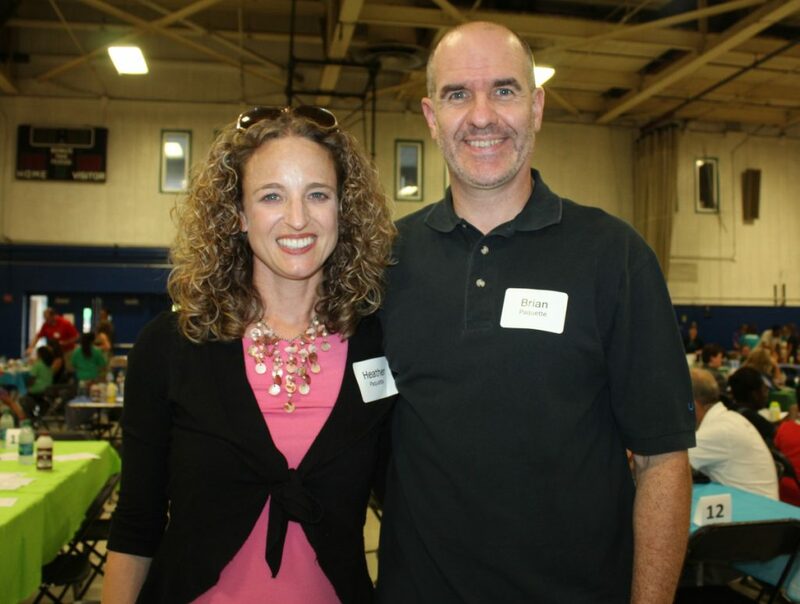 Both emigrated from South Africa, act as leaders at the Portland club and work with children at their church, First Assembly of God on Cumberland Avenue in Portland. 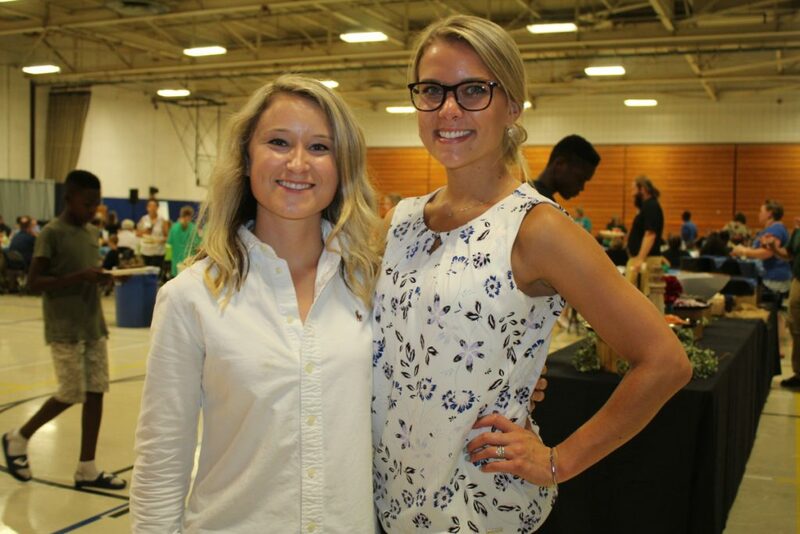 Both are attending the University of Southern Maine this fall. 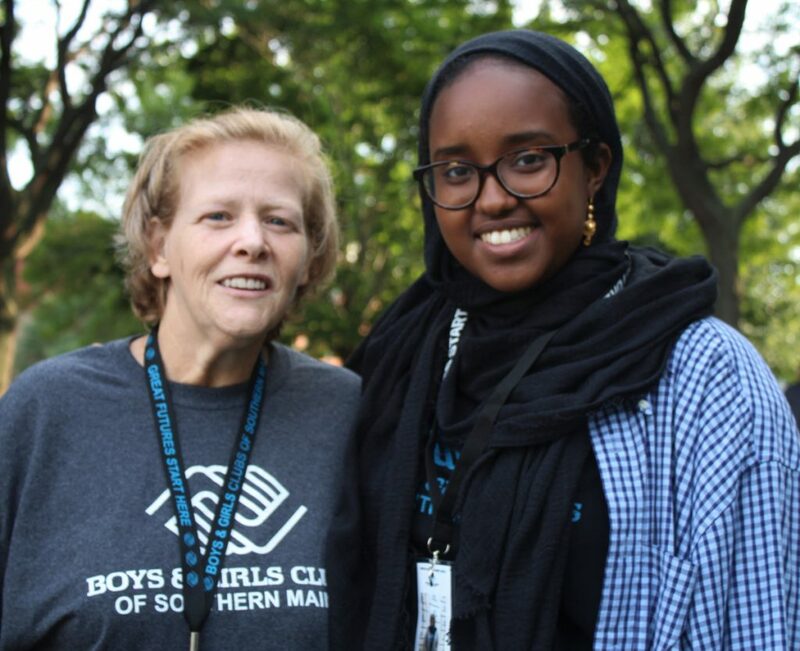 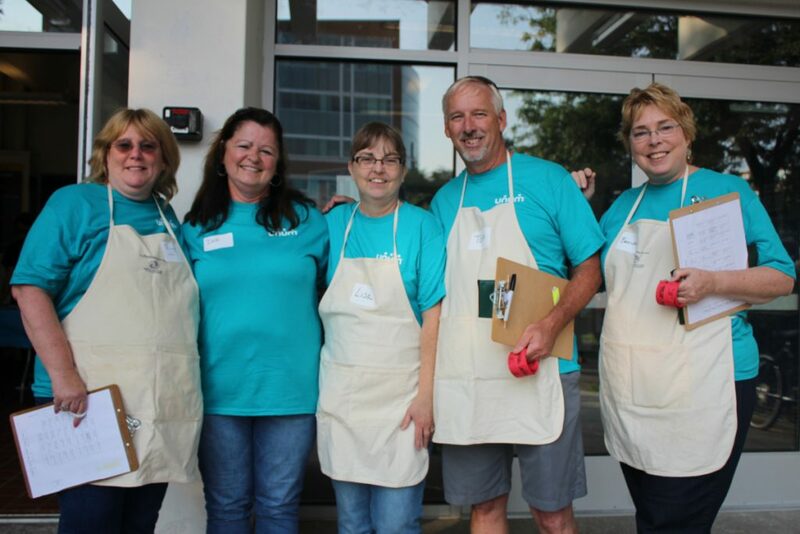 “I have kids, and it takes a lot of energy from a lot of different people to give kids all the opportunities they need and deserve,” said board member Heather Paquette, vice president of retail services at Hannaford, a major event sponsor and longtime supporter of the Boys & Girls Clubs.